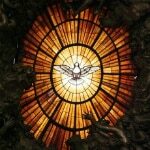 What does it mean to be holy? Sometimes we toss this word around… “Holy cow!” “Holy smokes!” “Holy jeans!” (well, that last one might be a reference to tailoring needs…) But for kids especially, we often neglect to stop and contemplate just what it means and why it is important for us to aspire to holy living. In addition, if Holiness is connected to perfection and we know humans are imperfect, why should we bother even trying? This lesson will take a look at how God is holy, and why we should try to live lives that please Him. Lesson focus: God is holy, meaning He is pure and set apart…He wants us to be holy, too, but we can only do that if we let Him live through us. We do this by looking to God and scripture in all things. Lesson Opening: What is it used for? Begin with a mini-object lesson using a couple of common items. Play a blindfolded relay game to identify the uses of various things. In a box, have set aside a toothbrush, a hair brush, bug spray, cleaner, a box of tissues, a box of crackers, a spoon, etc…one at a time, students must don the blindfold and hustle over to the box (you can make this a team race or an individual activity). Ask them to find a particular item, like “find what you’d use to clean your teeth” or “an item to get rid of ants…” Blindfolded, the students are to attempt to find the items. After a few rounds, sit and chat briefly about what they were doing. Would a toothbrush be an appropriate tool to de-tangle hair? Would a hair brush work for our mouths? Explain that these things all have special purposes. They are set aside and special. If we used a toothbrush to polish shoes, we probably would not be inclined to use it again for our mouths. Today we will be talking about what it means to be holy, and how holiness means we are set apart and designated for certain things. What is a holiday? It is a special day, a day recognized and declared sacred, a holy day. Something holy is set aside for a special use. Ask kids how this relates to our faith…can people be holy? The Apostle Paul tended to think so…he often admonished people to live in a way that was special, sacred, and pleasing to God. This is how he encouraged Timothy to be. Remember who Timothy was? Paul recalls Timothy’s strong faith and positive role models of women in his life. He is convinced Timothy is acting faithfully, but he also wants to encourage him to pass on that effort to others and lead by example…look at the next verses. And of this gospel I was appointed a herald and an apostle and a teacher. 12 That is why I am suffering as I am. Yet this is no cause for shame, because I know whom I have believed, and am convinced that he is able to guard what I have entrusted to him until that day. Paul is writing from prison. Here he reminds Timothy that he is not ashamed to suffer for Christ, and hopes Timothy will have the same attitude. What is the “good deposit” he mentions in verse 14? Not a bank slip…it’s that effort to share and work with the people around him. Paul admonishes his young friend to continue setting an example because he has been set apart for his work. He will be covered and protected by the Holy Spirit as he continues in doing what is right. And what can we take from that? God calls us all to be Holy, to be set apart. This does not mean we have to be perfect. No one is perfect aside from Christ, after all. But we give ourselves to God and recognize His control over our entire lives. We can be set apart, by and for HIM. Craft: Reminders…provide each student with a toothbrush and verse as a simple reminder that everything has a special intended purpose. If time allows, decorate or add a hanger. Close with prayer and thank God for who He is. Thank God for the Holy Spirit and ask for help in following and attending to it. End by passing out a “hole-y” treat…donuts (or donut holes). I prayed for a Sunday school lesson for my pre-k – k class and the Holy Spirit led me to this one! I needed to be reminded of the Holy Spirit as much as my class will!! Thank you! Tony Kummer (Editor) reviewed & updated this page on : August 18, 2017 at 10:09 am. All our content is peer reviewed by our readers, simply leave a comment on any post suggest an update.